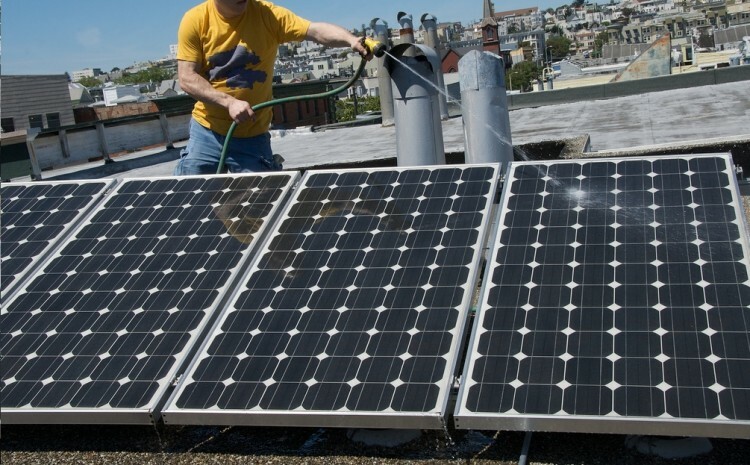 At Clean Nation, we have the training, experience and the tools needed to handle solar cleaning projects of any size. Using purified and deionised water, specially designed soft brushes and lightweight telescopic poles, we can reach most panels, without needing access equipment, to gently wash away the dirt and grime leaving nothing but a sparkling shine behind. 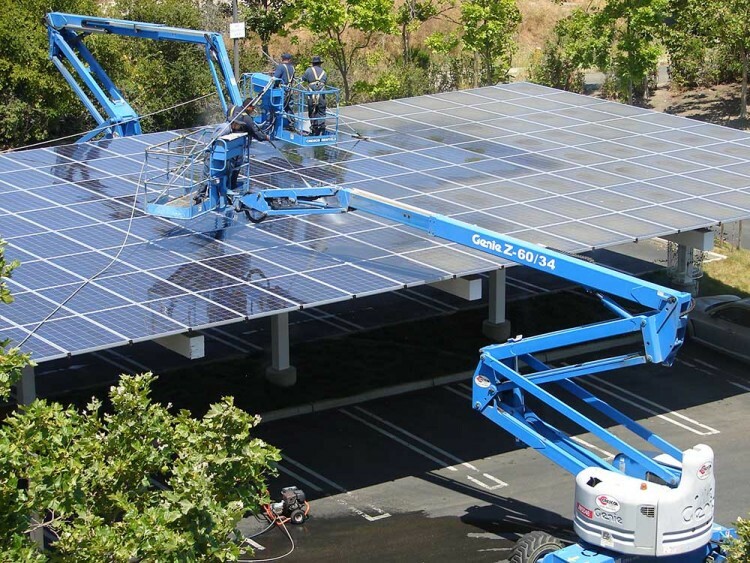 Regular cleaning of solar panels should never cost money – the increased efficiency of the array should mean you recover the cost of cleaning many times over. 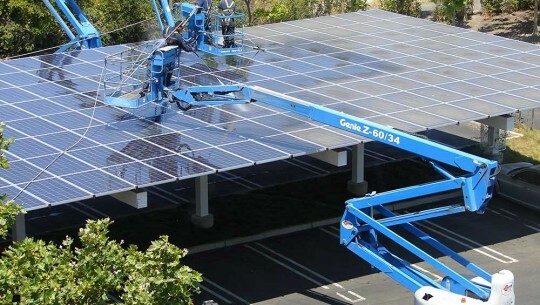 We usually recommend cleaning of commercial solar installations twice a year, but if you are in an area where dust or pollution are an issue, an extra clean may be beneficial. Your solar installation is a big investment – we can help you to get maximum payback from it! We’ve seen many small solar arrays being installed in our area over the last few years – but the damp British climate means they can quickly become dirty, and this dirt blocks valuable sunlight! We have the tools to clean your solar panels gently but effectively, using soft brushes and purified water. In most cases, we don’t need to use ladders or scaffolding to reach the panels – our long telescopic poles can reach from the ground!